..though gaming is the intended usage scenario, the XR500 Pro has the performance and feature set required to serve as a highly capable all-rounder. Our reliance on connected devices is such that it pays to spend a little extra time and effort in sourcing the right network equipment for the home or office. The old adage of "any ISP-supplied box will do" no longer applies to the enthusiast, and there is a range of premium solutions that help elevate the online experience. In the gaming space, the Nighthawk XR500 Pro is a stand-out choice for console gamers seeking a competitive edge. Designed and developed as a collaborative effort between Netgear, whose high-end routers have often lacked a forward-looking OS, and Netduma, whose software has been crying out for premium components, it is a fine example of hardware and software expertise coming together in a meaningful way. The implementation of Geo-Filter and QoS is a blessing for console gamers who can't abide lag, and though gaming is the intended usage scenario, the XR500 Pro has the performance and feature set required to serve as a highly capable all-rounder. Our first experience of the slick DumaOS operating system reaffirms our belief that detection and prioritisation of latency-sensitive data packets makes implicit sense, yet there is room for improvement. The XR500 Pro may be deemed too complex for casual gamers, and though it can ultimately improve your online gaming experience, you'll need to spend a good amount of time in the admin panel tinkering with settings to attain an optimal setup. 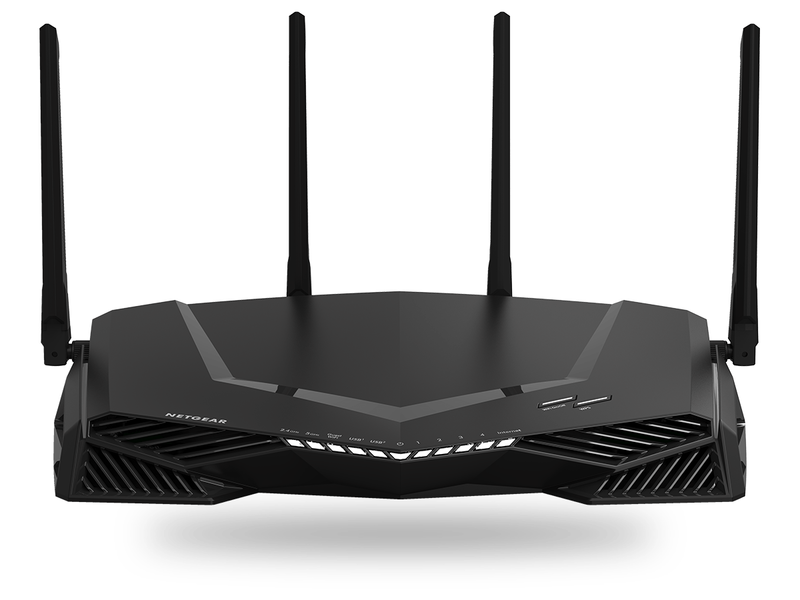 Bottom line: gaming routers are no longer a marketing trick, and console enthusiasts frustrated with lag should give the Nighthawk XR500 Pro a closer look. The Netgear Nighthawk XR500 Pro Gaming Router is available to purchase from Scan Computers. At HEXUS, we invite the companies whose products we test to comment on our articles. If any company representatives for the products reviewed choose to respond, we'll publish their commentary here verbatim. *UK-based HEXUS community members are eligible for free delivery and priority customer service through the SCAN.care@HEXUS forum. Seems really expensive to me and IDK how you'd go about measuring it but for a gaming router with a focus on reducing lag i was expecting some benchmarks quantifying the latency of wired/wireless. Netduma have their own router that they sell for $239.99 but the picture on their website looks like Routerboard hardware that Mikrotik sell with their own RouterOS for under $100. Netduma clearly think DumaOS is worth some money… I'm not seeing it myself, it looks shiny but my bet is that it's just Linux with some suitable Kernel tuning options and a fancy web interface, nothing secret or amazing. I contacted smallnetbuilder.com about reviewing this Netgear XR500. They let me know that it is just a rebranded Netgear R7800 but with DumaOS. The Netgear R7800 is still listed as #1 (since 2015) on smallnetbuilder.com and is $100 US less, so I bought the Netgear R7800. I do not think the DumaOS is worth an extra $100 US. I hope this helps some people.